great family vacation together can be the perfect way to spend quality time with them before they embark on their own exciting journey through life. The self-skippered boat cruises offered by Le Boat, Europe’s number one self-skippered boating vacation company, make ideal graduation gifts that families of all ages can enjoy together. They provide the perfect mix of independent and group activities to meet every member’s needs. Soon to be “captains” of their futures, the young graduates can be captains of the boat, since anyone over the age of 18 in the UK and Europe and 21 in Ireland can drive with no boating experience or license required. More importantly, the family has the boat all to itself for the entire journey and can therefore create its own itinerary tailored to everyone’s interests. 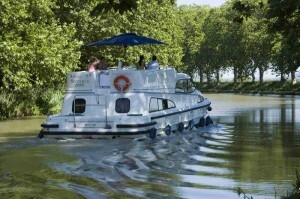 Holland and the South of France on the Canal du Midi are among the many regions throughout Europe and the British Isles where Le Boat can be found. Brimming with history, culture and a wide range of activities, they make the perfect destinations for multi-generation cruises, whether along the many canals and lakes or the rivers that run through them. College graduates will find the history in their books come alive as they explore Amsterdam, Holland’s largest city. The eclectic city has something that appeals to every age with its rich heritage and culture and lively nightlife. The Rijksmuseum, a Dutch national museum dedicated to the arts and history in Amsterdam, features 8,000 objects on display from their total collection of one million. It’s the largest museum in Holland with masterpieces by artists such as Rembrandt, Frans Hals and Johannes Vermeer. Families can also visit the Royal Palace, which served as city hall during the Dutch Golden Age, then as the royal palace of King Louis Napoleon and later as the Dutch Royal House. Another popular attraction is the Floating Flower Market in the Singel Canal. First held in 1862, one can find every kind of flower uniquely displayed on floating barges. To the south of Amsterdam, Vinekveen is another ideal start to a family cruise, with Vinkeveense Plassen a popular lake for many activities like swimming and diving. Families cruising on the Canal du Midi in the South of France will find different adventures awaiting them at every mile along the scenic waterway, where the boat travels past lush vineyards, medieval villages and ancient fortress cities. Toulouse, capital of the Southwestern French department, is the center of the European aerospace industry and home to Cité de l’espace, the City of Space. Perfect for the aspiring astronaut in the family, this theme park focuses on space and the conquest of space, with interactive exhibits as well as full-scale models of the Ariane 5 rocket, Mir space station and Soyuz modules. Other activities along the Canal du Midi can include exploring the medieval city of Carcassonne, strolling through Paraza’s scenic vineyards overlooking the Aude Valley and diving into watersports, such as canoeing, windsurfing and fishing in Homps’ Lac de Jouarres lake.